Pittsburgh area Certified Public Accountants offer accounting services for Trusts & Estates for residents in North Hills, Wexford, Fox Chapel, Cranberry Twp, Ross Twp, and Allegheny & Butler Counties. The most time-consuming aspect for estate & trust administrators is maintaining accurate records & preparing estate accounts. The experienced CPAs of W Cotton Mather can handle the general accounting duties of estates and trusts to ensure that everything has been accounted for, all taxes have been paid, and each beneficiary has received their correct entitlement. 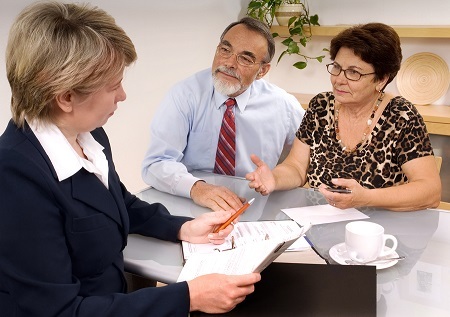 Our trusted accountants work cooperatively with your attorney, insurance agent, and/or investment advisor to analyze your will, insurance policies, retirement plans, business succession plans and more. We will discuss tax & probate ramifications and develop a plan to minimize estate taxes and meet your projected family needs. From estate preparation & tax planning to trust accounting and federal and state fiduciary income tax returns, the professionals at W Cotton Mather will handle all of the general duties to make sure your lasting legacies will be well preserved. Since estates & trusts have compliance requirements and complicated tax issues to consider, hiring an estate & trust accountant can reduce the stress associated to these requirements. When it comes to choosing an accountant to help you create an estate plan or trust, nothing is more important than reliability & honesty. At W Cotton Mather CPA, we understand that this type of planning is more than just a series of financial decisions, it’s also highly personal and important. Contact us today to find out more about how we manage the income tax accounting, ongoing maintenance, and other important fiduciary responsibilities related to Estate/Trust accounting.